There's nothing like the great outdoors, it's the best way to experience a country. Outdoor activities are all about getting out and exploring the amazing experiences on offer. Up for an adventure? Try a bushwalking tour. Want something a little more tranquil? Jump on one of our harbour cruises. Outdoor activities are all about getting out and about and experiencing everything this country has to offer. 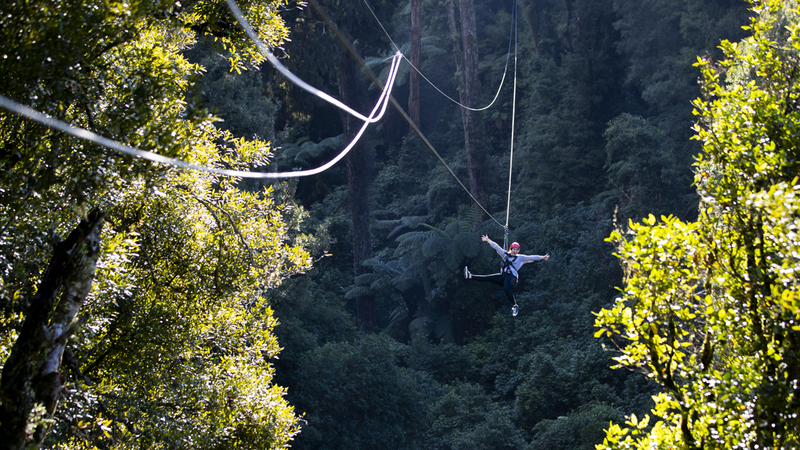 There's no better way to see New Zealand and enjoy its regions stunning natural playgrounds than by experiencing one of the many outdoor activities on offer at RedBalloon. We've got plenty of things to do in New Zealand north island with something for everyone. If you're in Auckland, journey through the world's largest Pohutukawa forest and get stunning 360 degree views of Auckland and the Hauraki Gulf with the Rangitoto Island volcanic explorer tour. Visit a hidden gem of Auckland at Tiritiri Matangi Island with a day trip and explore one of the world's most successful volunteer conservation projects. Our outdoor things to do in New Zealand also has plenty of experiences if you're exploring the South Island. Home to Queenstown, one of the world's most well-known outdoor adventure playgrounds, there is plenty of must-do activities. If you're up for the thrill, take on the tandem nevis swing. This is the most famous swing in the world in one of the most beautiful locations in the world. If you're more of a water baby rather than a heights person, why not try the Kawarau Canyon adventure and spend the day chasing waterfalls, natural water slides and abseiling. No matter what island you're travelling to or your level of adventure, with outdoor activities you'll find the perfect experiences that'll let you explore and see everything this country has to offer.